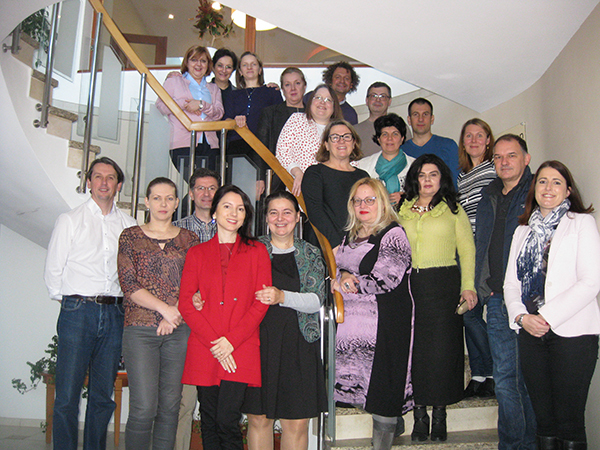 Partners: Transylvania University, Brasov-applicant, EAPC, Belgium, Aachen University, Germany, All Ireland Institute of Hospice and Palliative Care, Medicine and Pharmacy University, Timisoara, Medicine and Pharmacy University, Targu-Mures, Medicine and Pharmacy University Grigore T. Popa, Iasi, HOSPICE Casa Sperantei, Brasov. The aim of the project is to develop a undergraduate palliative care standardized curriculum, diversification of teaching and assessment of educational programs methods, but also training the faculty. Complex activities are included in the project, such as: developing a curriculum, materials for faculty who will teach the theoretical and practice courses, developing interactive teaching/learning methods, using technology during the educational process, mentoring students and innovative assessment process. All these materials will be developed with support from national and international experts with experience in development of educational programs, teaching to undergraduate level in palliative care. This curriculum will be piloted in 4 university centres in Romania (Brasov, Targu-Mures, Timisoara and Iasi) and 2 university centres in Ireland. Materials will be available in three languages: Romanian, English and German. The success of this project will create at country level an unitary curriculum which would offer basic palliative care knowledge to students, but also it would be a model for other countries in the region.